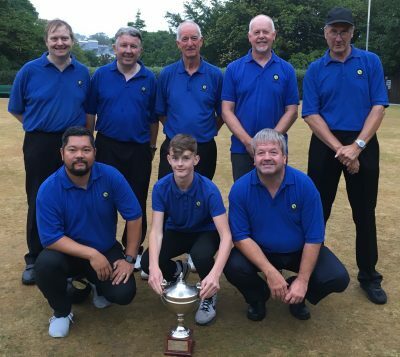 Noble’s A sealed their place in division one for the 2019 season with a 6-4 away win against Finch Hill A, which was enough on the night to seal the title by six points. This concludes a successful season for the Noble’s men following their Rayner Plate victory earlier in the season. Long time leader in the merit chase Dave Pease suffered a 19-21 defeat to Tony Epifani. Castletown B finished second in the table suffering a disastrous 3-7 home loss to Peel C, who managed to do the double over the southerners with these two results ultimately costing Castletown the league. Port St Mary C took the bragging rights over their B Team with a 6-4 win, taking the aggregate by just five chalks to upset the higher ranked team. Port Erin B hosted North Ramsey B with both teams missing a player the score ended 4-5 to the northerners. The visitors just missed out on an extra three points with Barry Teare and Gary Lenton losing out 19-21, whilst Alex Yates lost 20-21 to Alan Crebbin. Ballaugh A put their away day woes to one side to brush aside Noble’s B with a resounding 1-9 win. John Keenan sealed the individual merit trophy in division two with a 21-15 win, capitalizing on the loss of Dave Pease. Fourth placed Peel B hosted third placed Onchan B with the westerners unable to overtake Onchan they could have drawn level with them if they were to secure a maximum 10-0 win. The Peel men did manage to secure a good 7-3 win to end the season just three points behind Onchan, which also allowed them to finish three points ahead of Ballaugh A.